- Select Finish: Black (19), Satin Chrome (26D). 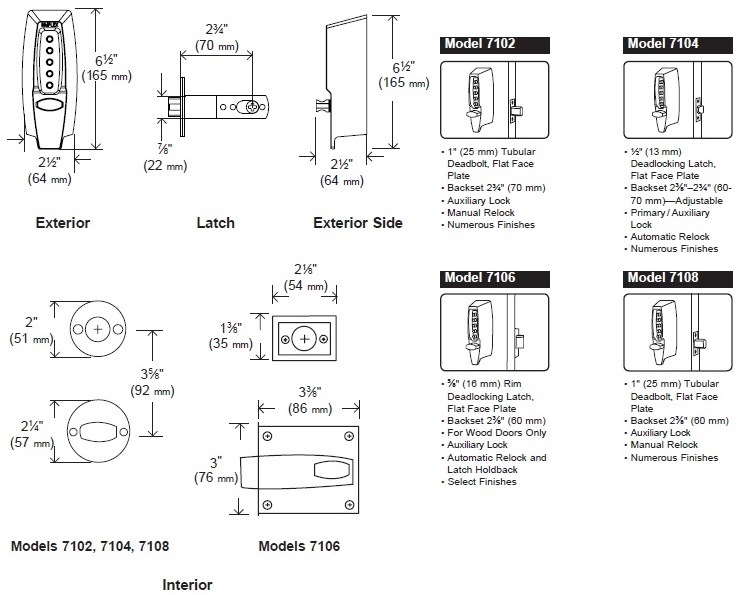 - Delivery: The Simplex 7106 Pushbutton Lock is factory-ordered, please allow 2-3 working days' lead time. Finish: Black (19) & Satin Chrome (26D).